This picture was taken from my office building when I was about to go home. Those are the buildings in Eastwood City in Libis Quezon City just a few kilometers away from our office. 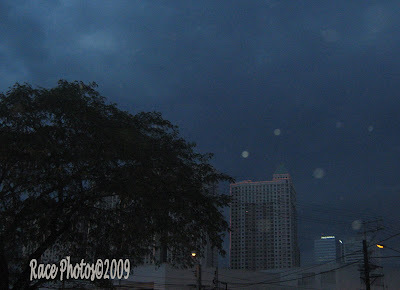 What amazed me here are the white circles resembling the shape of a moon scattered all over the top of the building. I just don't know what it was, as I recall my other shots the first was clear of any circle on the picture but as I snap my camera one by one these circles emerge leading to this final shot. 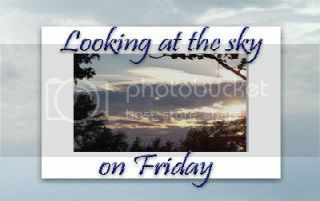 Anyway if you want to see other captivating sky photos visit here! The circles are puzzling, that's for sure! what a beautiful building. happy weekend. I love the photo in your header!